Dubai, UAE: Focus Softnet, the leading software development company, announced that it will be showcasing its next generation ERP-in-cloud product – Focus 8 Ready for Cloud, at Gitex Technology Week 2016, to be held at the Dubai International Convention Center, from October 16-20, 2016. The company will also be presenting its latest versions of Focus 8 incorporating WMS (Warehouse Management System) and MRP (Material Requirement Planning) modules. Focus Softnet will be exhibiting at Stand E8-10 in Hall 7 where visitors can meet with consultants and sales advisors from the company to understand the full portfolio of products and services. “With the coming together of digital technologies and business transformation in the region, we can no longer afford to ignore the huge possible gains for business as the migrate to ERP on the cloud. Global research and survey findings point to significant improvement of key performance indicators such as reduction in total cost of ownership, improvement in bottom line margins, better returns from IT spending, by adoption of ERP in the cloud. We believe it is time for Focus Softnet to be driving this discussion in the region amongst its current target customer base and prospective customers,” said Ali Hyder, Group CEO of Focus Softnet. Focus 8 is the company’s flagship new generation ERP that fully integrates a comprehensive business intelligence tool and provides real-time, multi-dimensional posting of transactions which results in real-time reports. Also on display will be Focus Softnet’s Focus i, a mid-tier ERP solution with integrated business intelligence tools, and complete range of Focus ERP solutions, including financials management, supply chain, and other modules. In addition, Focus Softnet will demonstrate vertical market capabilities through Focus CRM Suite, Focus Retail Management Suite and Focus INSTA healthcare solution. In order to offer customers multiple options, Focus Softnet has multiple data centers available for its customers. While Microsoft Azure would be recommended option for their customers, Focus Softnet is also providing own Data Centre space in Dubai to provide end-to-end services for both private and public cloud. 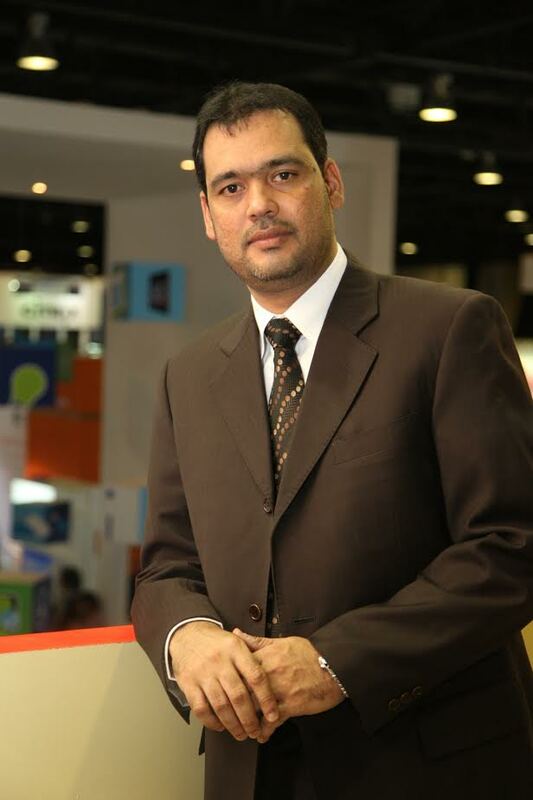 “Traditionally visitors during GITEX have been found to inquire about services and this year’s event is not expected to be any different. Our team will be available at our stand to discuss our portfolio of solutions and services including managed services, HR and recruitment services, business process consulting, implementations services, amongst others available across the region,” Mr. Hyder added. Established in 1992, Focus Softnet has a rich history of innovation, expansion and growth. Right from its first product, the company’s emphasis has always been on continuous R&D and team work to ensure that its products are feature-rich and built on state-of-the-art technologies. Focus Softnet understands the challenges of today’s competitive business environment and the need for innovation, and to help address those challenges, the company offers custom-built IT solutions to help companies focus on what they do best – to drive business and accelerate their success. Partnering with respected organizations and business associates across the globe, Focus Softnet today has evolved into a true multinational organization with 27 offices in 17 countries across Asia, Middle East, Africa and North America. As an IT solutions provider with over 24 years of experience and multi-domain expertise, Focus Softnet’s consulting services and skill sets are backed by a vast knowledge-base and a keen understanding of what it takes to run and grow a business. By re-engineering business processes and optimizing resources, developing and deploying user-friendly, flexible and cost-efficient industry specific solutions, Focus Softnet has helped over 30,000 clients across the globe grow their businesses by increasing operational efficiency and productivity.